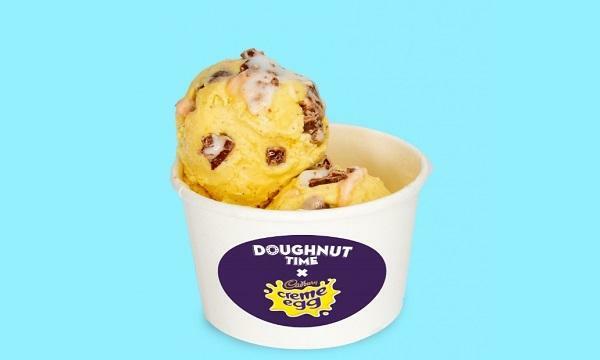 Doughnut Time has partnered with Cadbury for an Easter-themed pop-up. The shop, located within the Old Street tube station, features three egg-themed products using Cadbury’s Creme Egg. The items are the It’s Always a Goo-Time milk chocolate glazed doughnut, Cadbury Creme Egg Ice Cream and Dippy Dough Sticks. After ordering, customers at the pop-up have chance to “hunt down” a White Cadbury Creme Egg, which will secretly appear on branding and messaging inside the store. The pop-up will remain open until April 20.